Cape Town - Two in-form PSL clubs, Wits and Ajax Cape Town will be part of the opening act of the Nedbank Cup quarter-finals on 10 April at 20:00. Following a meeting of the PSL organising Cup committee on Wednesday morning, the PSL confirmed a number of logistics around the Nedbank Cup quarter-finals including dates, venues and ticket prices. 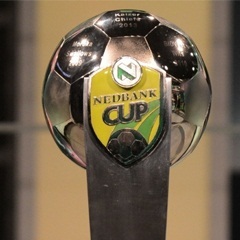 The Nedbank Cup quarter-finals will be played on the weekend of 10, 11, 12 April. The Cup Committee confirmed that ticket prices will vary from R80 (only for West Stand pavilion) and the rest of the stadium will cost R40. This will apply at all fixtures with the exception of the fixture between Black Leopards and Vasco da Gama at Thohoyandou Stadium in Venda where there is a standard cover charge of R40. The two NFD clubs will play on 11 April at 15:00. On Saturday evening, SuperSport United will host high-flying NFD outfit, Golden Arrows at the Peter Mokaba Stadium at 20:15. On Sunday, Mamelodi Sundowns will travel to Nelspruit to play Black Aces at the Mbombela Stadium. The League will confirm in due course details on availability of tickets.